The RCN grabbed headlines in 2016 by suggesting that district nurses, long a cornerstone of NHS care, were disappearing so fast that by 2025 they would ‘face extinction’. Two years on and the prognosis remains grim. NHS England data show that the number of district nurses in England has been allowed to fall by almost 50% over the past seven years. This appears to fly in the face of logic. 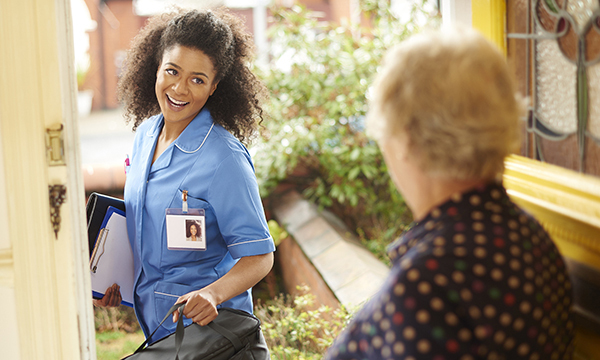 Demand for the types of care delivered by district nurses is growing rapidly. An estimated 15 million people in the UK have a long-term condition, 18% of the population are aged over 65 and 2.5% are over 85. Research by the Queen’s Nursing Institute shows that one in four people over the age of 75, and one in two over 85, receive care from a district nurse. The decline in district nurse numbers is also driven by demography. The district nursing workforce profile is old and ageing, with many reaching retirement age. But this is not the underlying issue. The root cause of the problem is the decision not to support the training of replacements for those who exercise their right to retire. The fall in district nurse numbers would be less worrying if there was a compensatory rise in other NHS community nurse numbers. But there has been an overall reduction of more than 1,400 community nurses and health visitors over the past year. History shows that some nursing roles have declined for good reason. Eradicate TB and the demand for TB nurses collapses, but no such rationale explains the continued decline of the district nurse and the recent drop in overall community nurse numbers. They have skill sets that are required to meet the growing challenge presented by non-communicable diseases. Their decline is not based on rational needs assessment, it is driven by decisions on funding allocations.